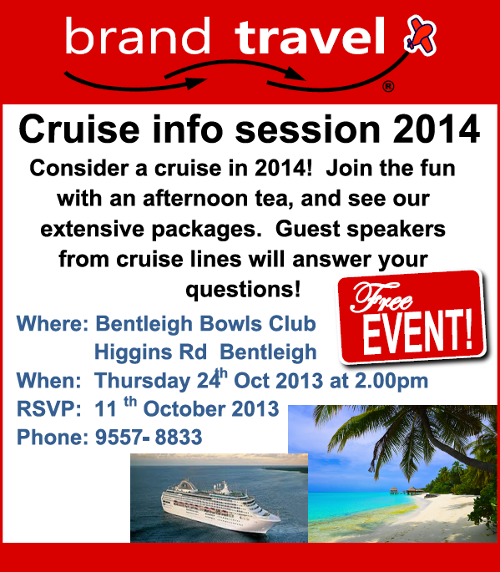 Community Corner - Brand Travel Cruise Info Session 2014. 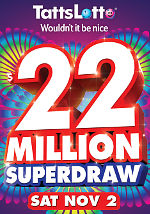 Don’t miss your chance to share in the $22 Million on offer in the upcoming Tattslotto Superdraw on Saturday 2nd November. Advance entries and Superdraw syndicates are now available. See below for the Superdraw syndicates available now at Patterson Road Tatts, News & Post. 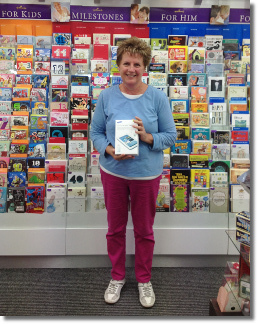 Winner of the Hallmark Father’s Day Competition is Jill Salter from Bentleigh, picture right with her prize. Jill entered the draw when purchasing a Hallmark Father’s Day card and now has an extra bonus for Dad, winning the Samsung Galaxy Tablet 2. 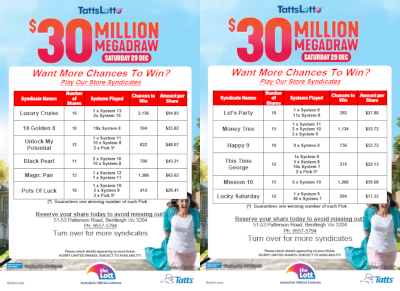 Superdraw syndicates and advanced entries are now available for the $22 Million TattsLotto Superdraw on Saturday 2nd November. Brand Travel, our local travel agency located at 49 Patterson Road, has a free cruise information session coming up on Thursday 24th October. If you are considering a cruise in 2014 be sure to get along to this event.